Garden Party Archives - Pebbles, Inc.
Hello everyone! 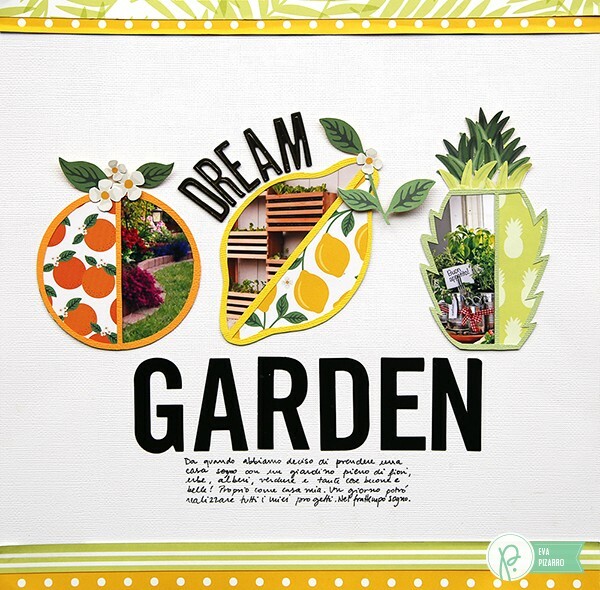 Eva Pizarro here today bringing you a layout inspired by the beautiful fruits from Pebbles and Jen Hadfield’s collection: Everyday. Growing up I lived in a house with a big garden. Thanks to my grandmother (she took care of the garden) we had all kinds of fruit trees, herbs, vegetables and even chickens! I always remember the vases with fresh cut flowers, the smell of fresh mint and the taste of home grown green beans and apricots. Now I live in a house with a small garden and my dream is to continue my grandmother’s tradition. For this layout I got my inspiration from pictures I saw online. They reminded me of how I want my backyard to look! 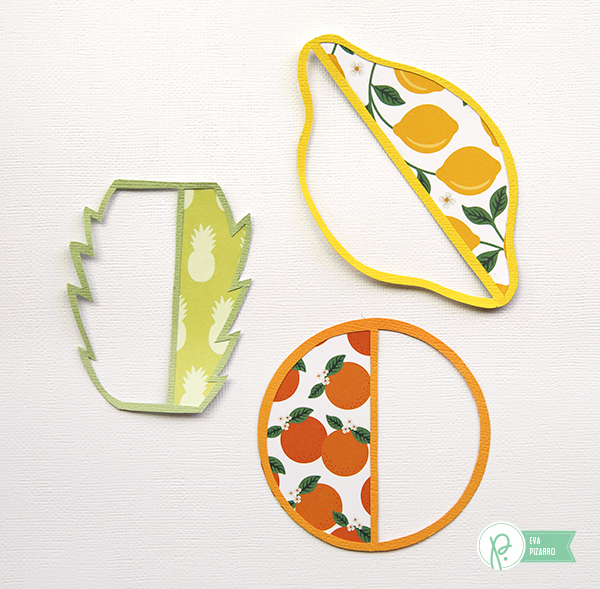 I also got inspired by the fruit designs in the Everyday collection and drew 3 fruits following the paper’s designs. 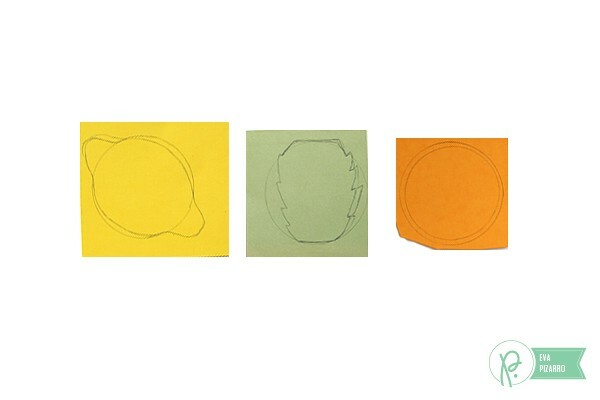 I used a glass to trace 3 circles and sketch the fruits on American Craft’s cardstock. Don’t be intimidated by drawing – if I can do it, you can too! 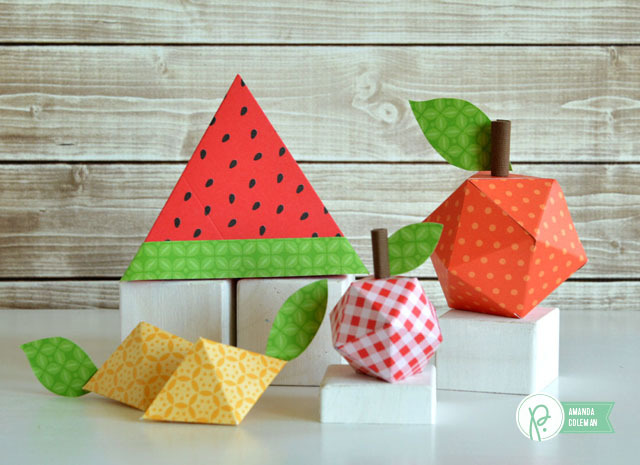 I wanted to have my picture on one side and patterned paper on the other so I cut the inside of my fruit in half leaving a small border. 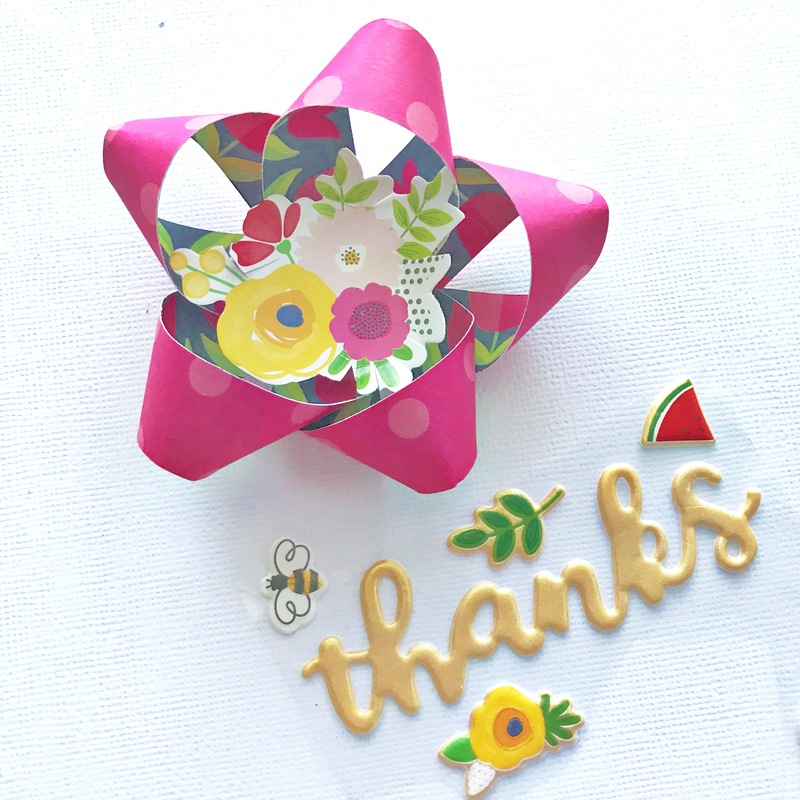 To embellish them I used flowers and pineapple leaves from the same patterned papers. I placed my photo on the other half and finished my layout with my title and some strips of paper on the edges of my page. 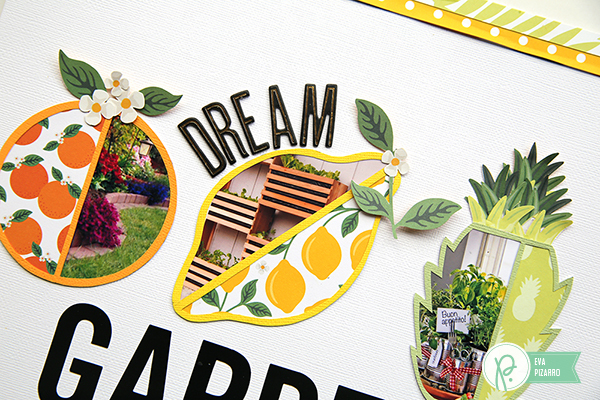 I thought the fruits were already big embellishments, so I kept my design simple. 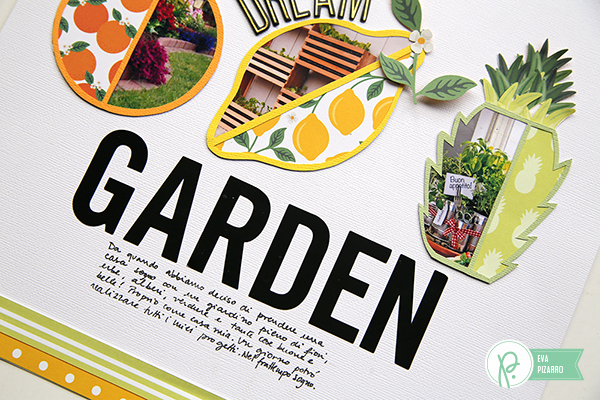 I love the BIG alphas from the Home+Made collection – they add a graphic and modern feel to the page. Here’s a close up of my fruits. I think they turned out great! Exactly how I wanted them! 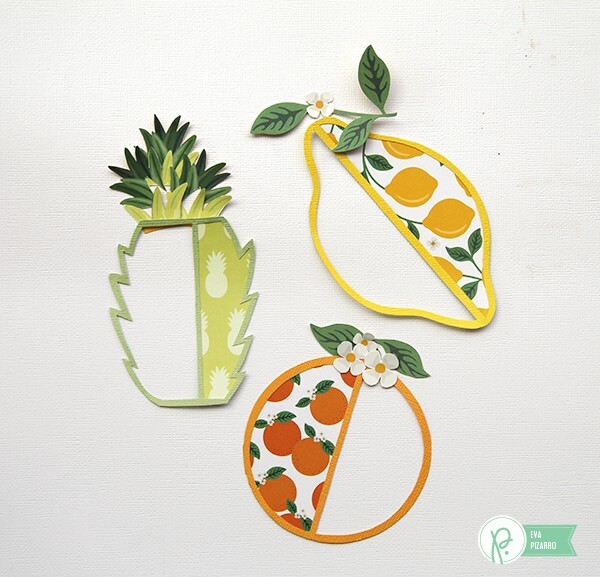 Want some more fruit-inspired crafts? These ones from Amanda are so cute! Check them out! 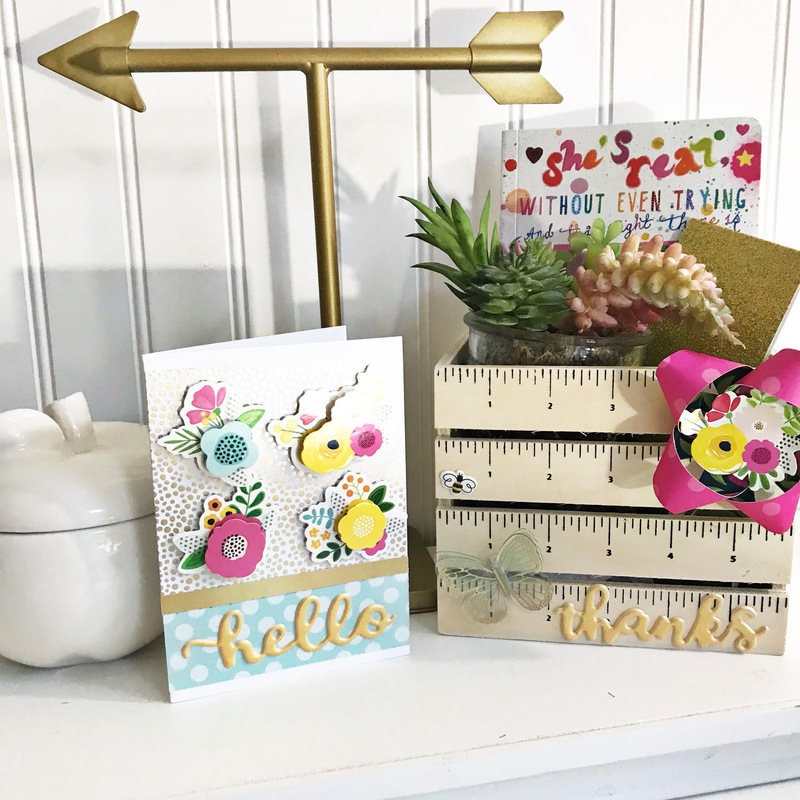 Laura Craigie is using some of her absolute favorite embellishments from the Garden Party collection today to make beautiful handmade cards for any occasion. Read on to get a little inspiration for a card duo of your own! Do you ever have a product you love so much it’s hard to use? 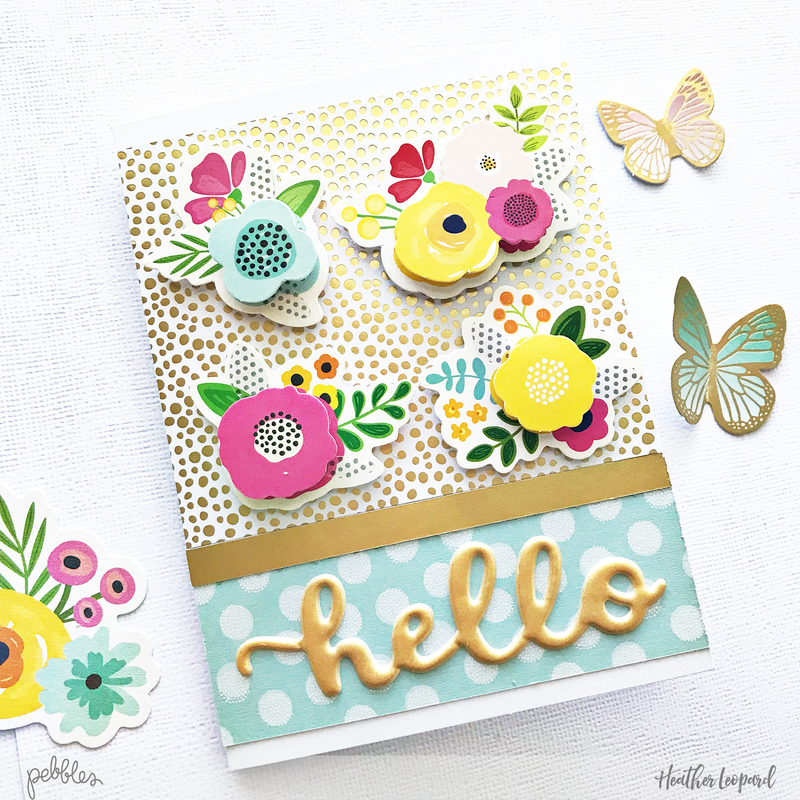 That is how I’ve felt about these beautiful vellum flowers in the Garden Party collection! I had been afraid to use them up, but finally decide it was time after a few months of loving them. I decided to make a card duo, incorporating plenty of white to really let the flowers shine. 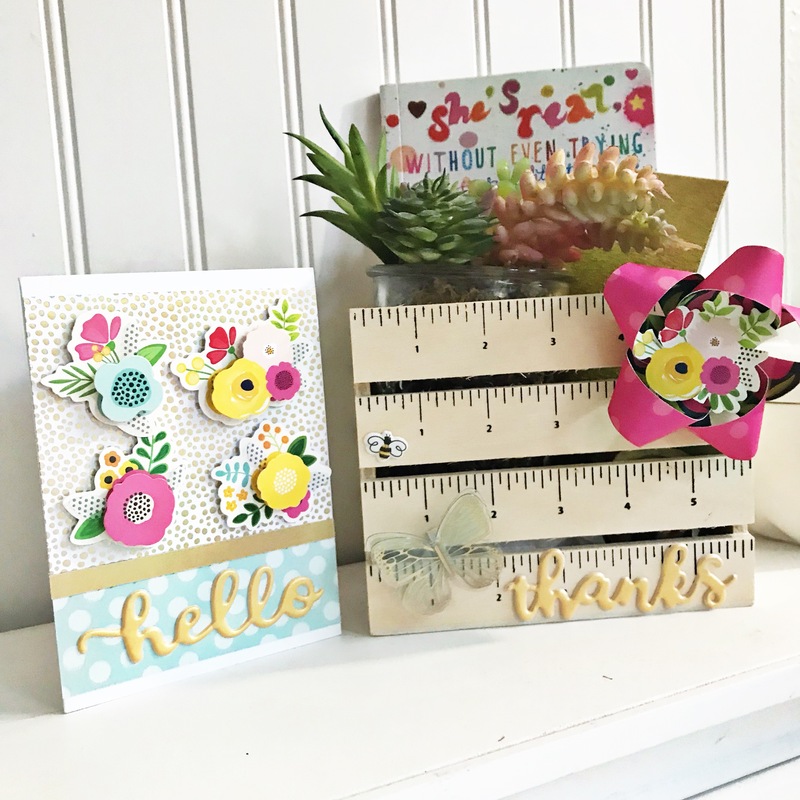 I always like to have something “grounding” my sentiments and for these cards I used the pockets and inserts from the same Garden Party line. 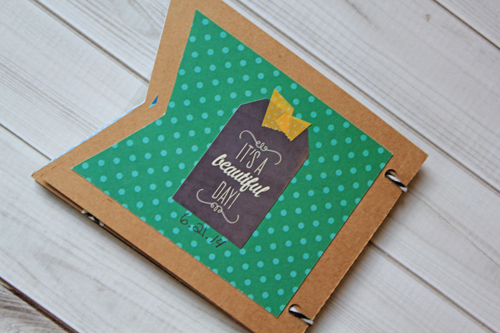 They are the perfect size for both cards and layouts and you can pull out the cute tag insert and use it all on it’s own like I did for one of my cards, and just used the empty pocket as an embellishment on the other card. Everything is much more fun when it’s mini! 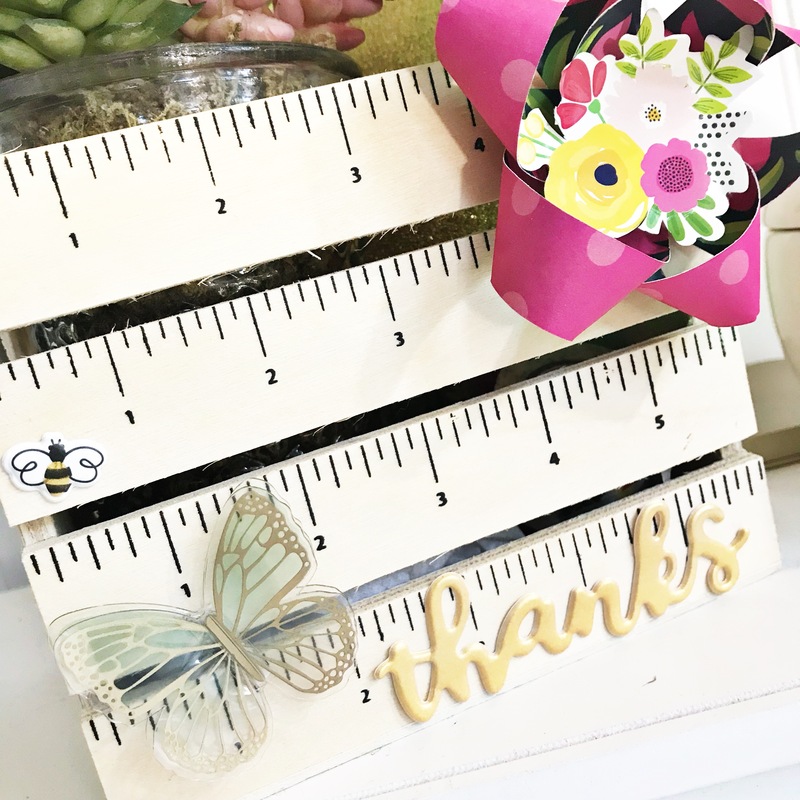 Design Team Member Samantha Taylor is mixing and matching different goodies from all across the Pebbles board to make this darling mini album. 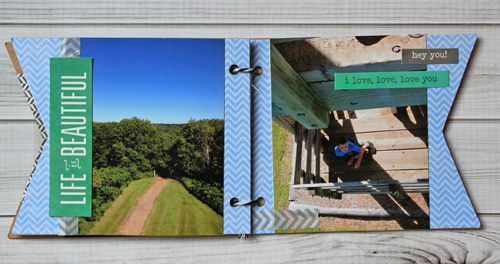 I love Pebbles journaling cards, so I used one to create the cover of my album. 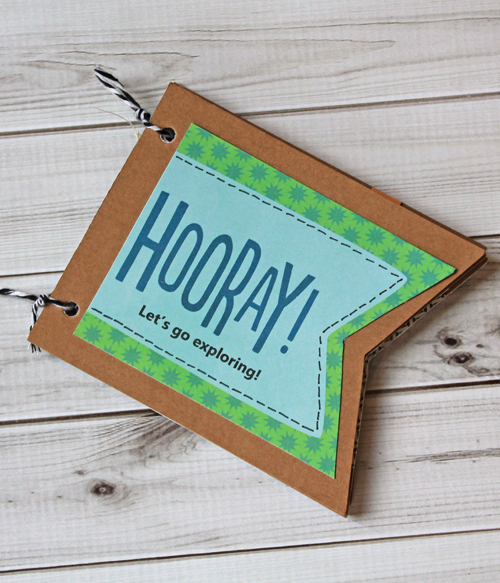 “Hooray!” was already printed on the paper, and I used my computer printer to add “Let’s go exploring” underneath. Pebbles Birthday Wishes washi tape goes from birthday theme to generic themed if you rip off just the “happy” part. My absolute favorite page is this one. I kept it simple with photos and rub-ons, but it needed something extra. 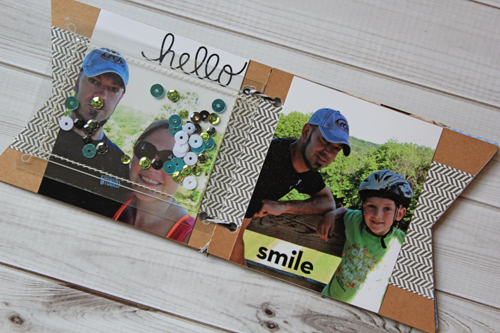 I added an extra page in the middle by sewing together 2 photo overlays with sequins inside. I don’t know why, but that sequin page make me so happy! I kept all of my pages clean, simple, and flat. 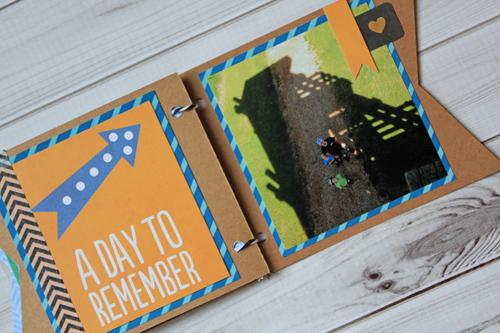 I knew I was going to bind this album only with a bit of twine, so I knew that keeping the embellishments flat would be important. 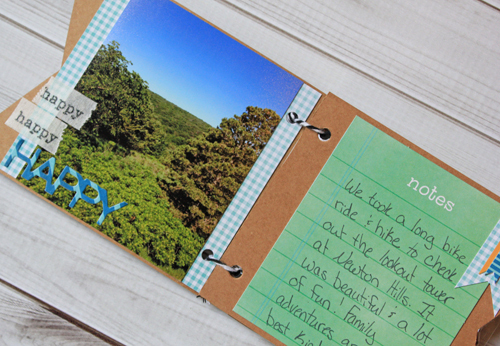 This photo deserved a bit of extra attention, so I used a journaling card to do just that. I took this photo from the top of the lookout tower with my husband and sons standing in its shadow. I love that you can see the whole shape of the tower in the shadow! Just a simple tag with some washi tape and the date of our adventure completes the back of the book. Just a simple mix and match mini album! 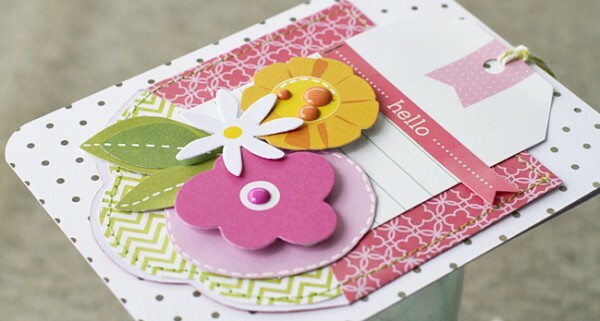 Mini envelopes make a great embellishment. 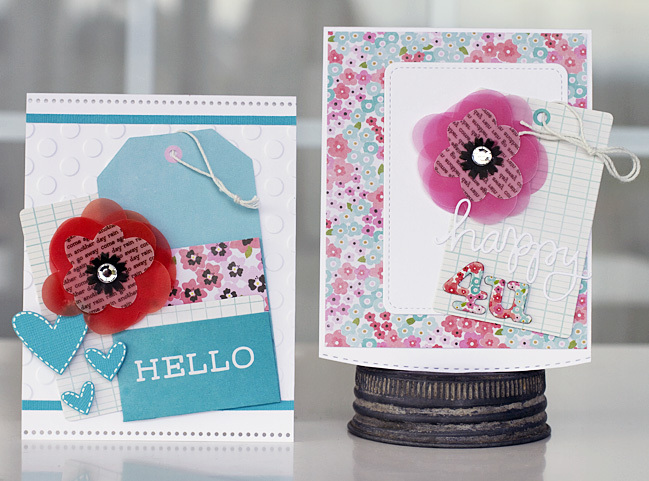 We love the way Laura Craigie has incorporated them into her cheerful handmade hello cards. 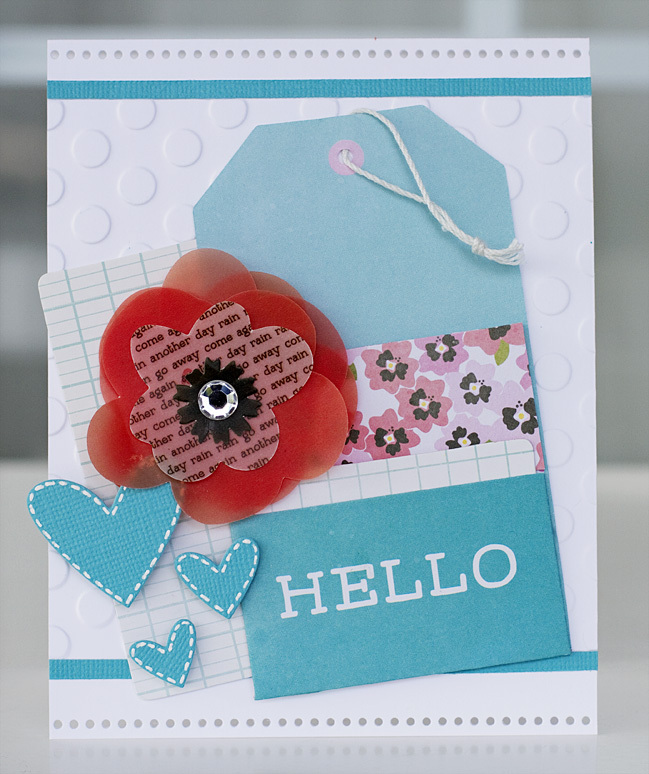 I’ve always loved the mini envelopes by Pebbles, and while I love using them as intended, I also love using them as an embellishment. So I decided to make two cards today using supplies from the Garden Party line, and used two different envelopes, one on each card. For my first card I adhered it to the card upside down, and added a patterned paper liner to the inside flap of the envelope. 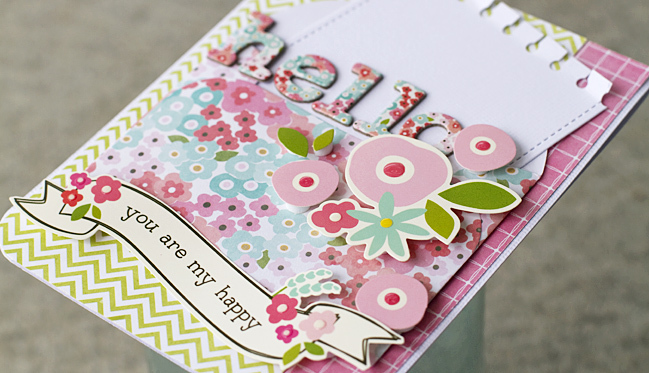 It was a great way to ground all the other embellishments and sentiment I added to my card. 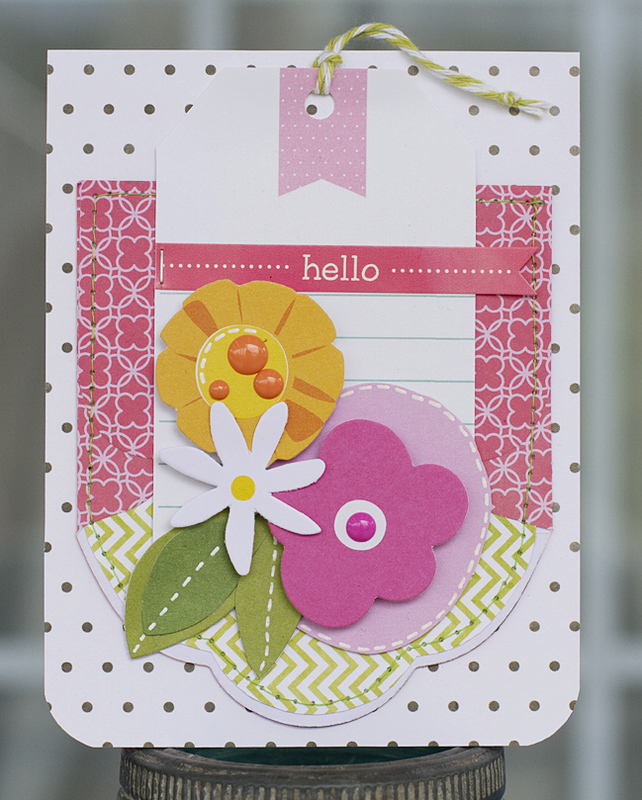 My second card again uses the envelope as an embellishment, and I added a tag that looks like it’s popping out as the base for my sentiment made with those pretty floral thickers.